Love Live! 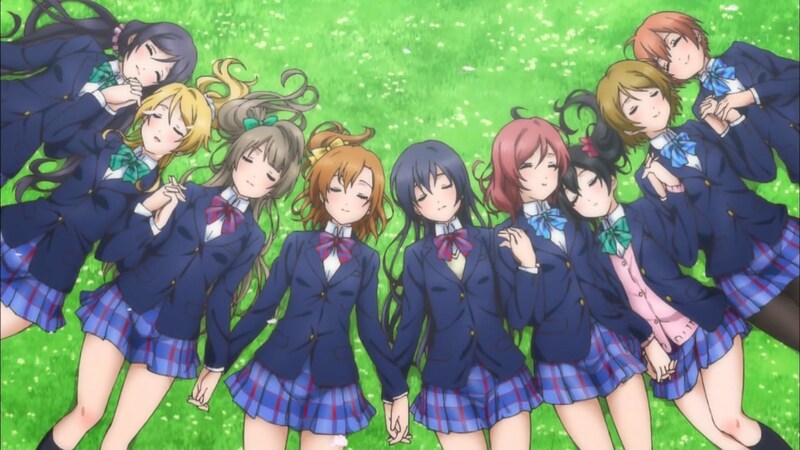 School Idol Project is the story of nine high school girls that form an idol group. Their opening song seems like a light and fluffy performance, but in many ways it foretells events in the series! Love Live! 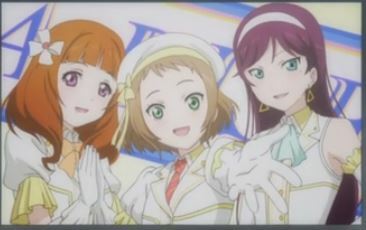 School Idol Project is about a group of high school girls that form an idol group named μ's (pronounced muse) in an attempt to halt the imminent closure of their school. 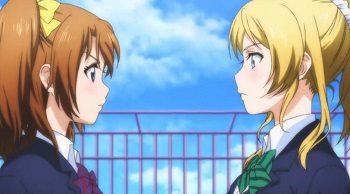 They grow in popularity and aim to perform in the Love Live!, the national school idol tournament. 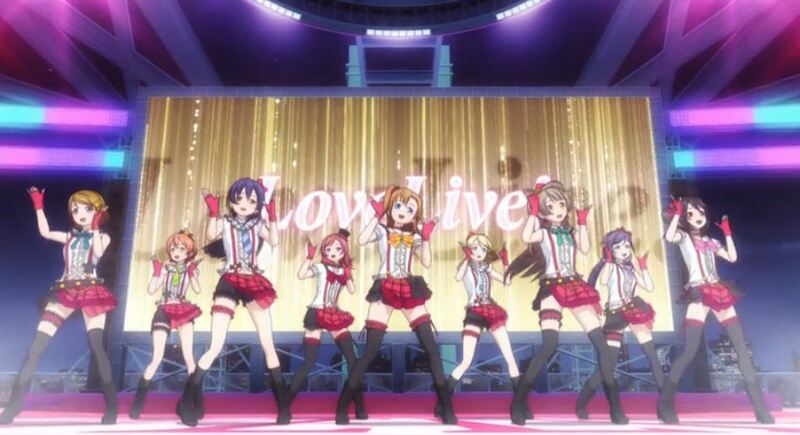 The opening theme is performed by the μ's girls on a glittering concert stage, along with a montage of various images showing their growing friendship. The following of idols is a whole subculture in Japan. Idols are usually girls in their teens or early twenties in groups or as a solo artist, and they are marketed for their cuteness and innocence. They often dabble in other areas of media along with singing, and can play a 'character' that adds to their appeal. 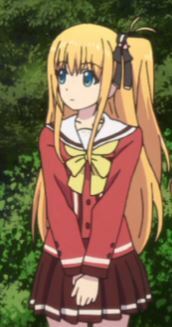 A great example of this in anime is Yusarin from Charlotte. She also incites the fanatically overexcited reactions from her followers that idols are known for, illustrated so well in Charlotte with Takajou's encyclopedic knowledge of Yusa's spells and Ayumi's nose bleeds. In many ways the opening song is one big spoiler for the rest of the series. Not only does it include all nine girls performing together, but the lyrics and montage also give much away. For example, take the line "Our honest feelings bring us together." This could be taken as a reference to the fact all the girls only join μ's after being thoroughly and brutally honest with themselves. Then there is the phrase "if we come together, we'll all become stronger," which can simply be be taken as a general sentiment or as a reference to the fact the group doesn't really shine until they become the complete nine. 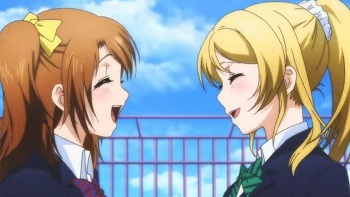 Smiling, especially while working hard, is a theme throughout the series, and this too is mentioned several times in the song. Regardless of all the things that could be read into the opening sequence, essentially it has everything both an idol song and a shoujo anime opening requires - it is cute, it is fun and it is catchy! What is Lucky☆Star? Why should you watch it? Where does it come from? All roads lead to otaku! Read this article to get a glimpse of what fans worldwide can't get enough of! Pretty Cure is a long running mahou shoujo series that has enchanted young girls for over 10 years. The songs featured in it represent the essence of the series, but what exactly are they about? Let's take a look at the song lyrics in Precure through a process called text mining to find out. Love Live! is a popular multi-media franchise that features nine beautiful idols who all happen to be high school girls. The plot of the anime focuses on the struggles they face with their weapon of choice: music. Let's take a trip down memory lane with some of the most memorable tunes! Vocaloids have transformed the way music is being created, how characters are brought to life, and how some companies are viewing their intellectual properties. They've also influenced and inspired the creation of 'Vocaloid anime'. It's time to delve into the world of Vocaloids! A lot of anime tend to portray their female characters as shy and naive, but not B Gata H Kei. The protagonist, Yamada, is concerned with whether or not she'll be able to reach a certain "magic number". The steamy, yet cute, opening serves as the perfect gateway to the series!